24-hour forecast: Sunny with cloudy spells today and cloudy at times tonight. Showers will be isolsted except for a few more over the south tonight. General Outlook: For Friday and Friday night: Isolated showers, except for a few more over the south. Tonight E 5-15 kts Moderate 4-5 ft ISOLATED SHOWERS; A FEW MORE WILL AFFECT THE SOUTH. Tomorrow E-NE 5-15 kts Choppy 3-5 ft ISOLATED SHOWERS; A FEW MORE WILL AFFEC THE SOUTH. 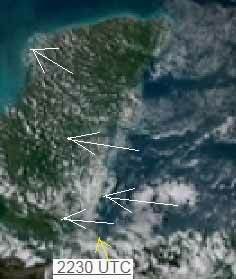 Outlook NE 10-20 kts Moderate 4-5 ft ISOLATED SHOWERS; A FEW MORE WILL AFFEC THE SOUTH. 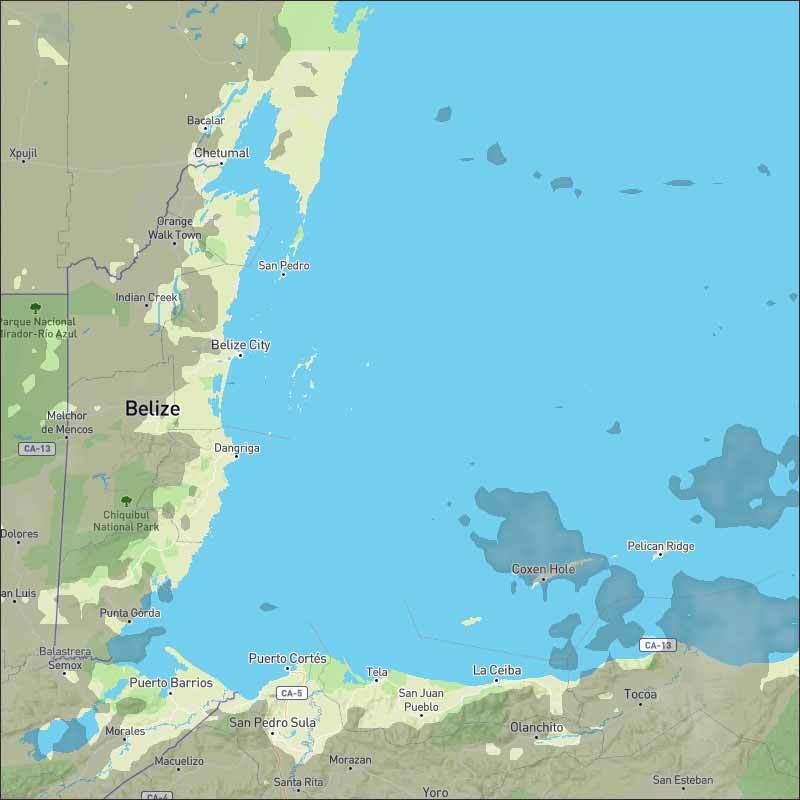 A gale warning is in effect along the coast of N Colombia. Refer to the Special Features section above for details. Trade winds are over the Caribbean Sea with lightest winds E of 70W. Scattered showers are noted over Hispaniola, Puerto Rico, and N of the Leeward Islands due to the tail end of a central Atlantic front and a surface trough over the Leeward Islands. 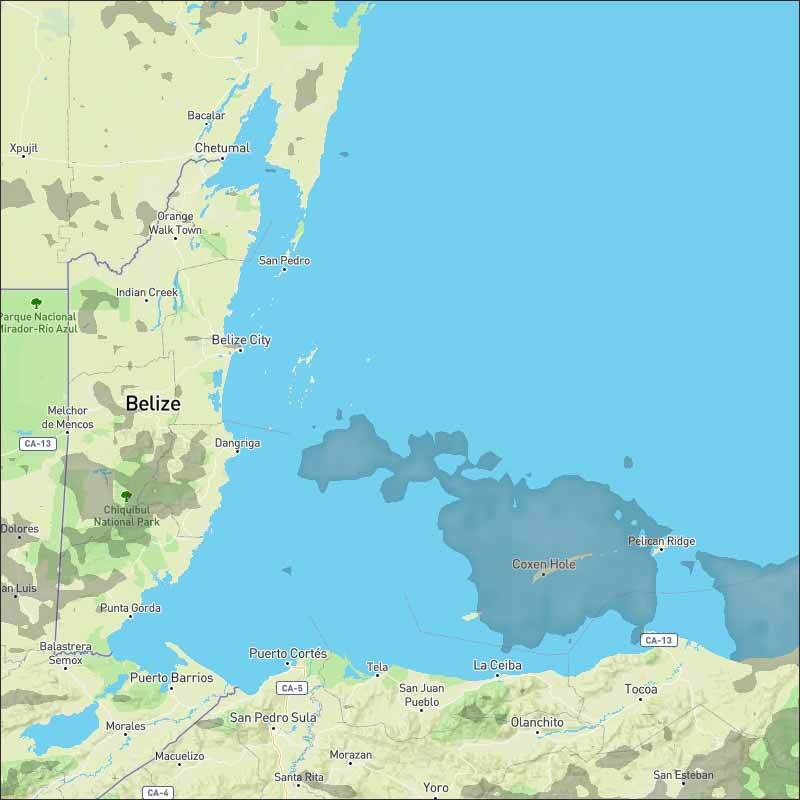 Strong subsidence covers the remainder of the basin. Weak high pressure over the western Atlantic will be replaced by stronger high pressure that will build east- southeast across the western Atlantic Fri through late Sun night. The pressure difference between the high pressure and low pressure over Colombia and the far SW Caribbean will bring strong trades across the S central Caribbean pulsing to gale force off of Colombia each night through Mon night. Fresh to strong winds will expand in coverage Fri through early Mon to include the Windward Passage and the waters in the lee of Cuba. The winds across the Windward Passage and lee of Cuba are forecast to diminish during Mon afternoon, but may still be in the fresh to strong range in the Windward Passage. The Caribbean wind are coming in from the east and already have more cloud than the last few days, particularly over southern Belize. 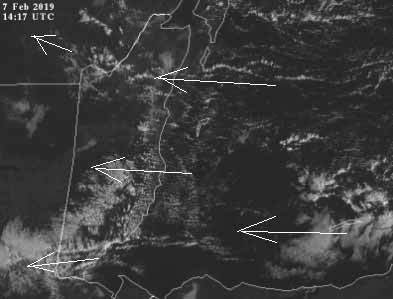 No rain showing at present, but there is the potential for some isolated rain more so down south where there is also heavy cloud off Honduras coming our way. Looks like today will be largely sunny, but with significant white clouds and a higher chance of the odd rain shower later today. 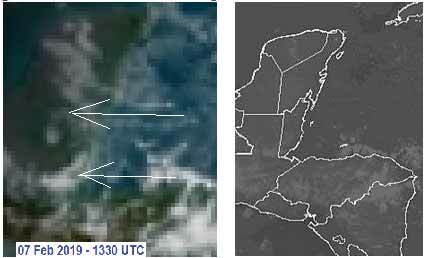 The Cloud picture... That cloud just off Honduras is showing signs of developing into rain clouds later. Updated satellite view, looks marvelous! There has been more cloud and heavier cloud today, looks to me a if there could be some isolated rain in some parts tomorrow, most likely down south. Looks like another sunny day, but with significant clouds and possible a little rain. No rain at present.